Hunkemoller have released the new Doutzen Kroes sportswear range and I got my hands on one of their hoodies. 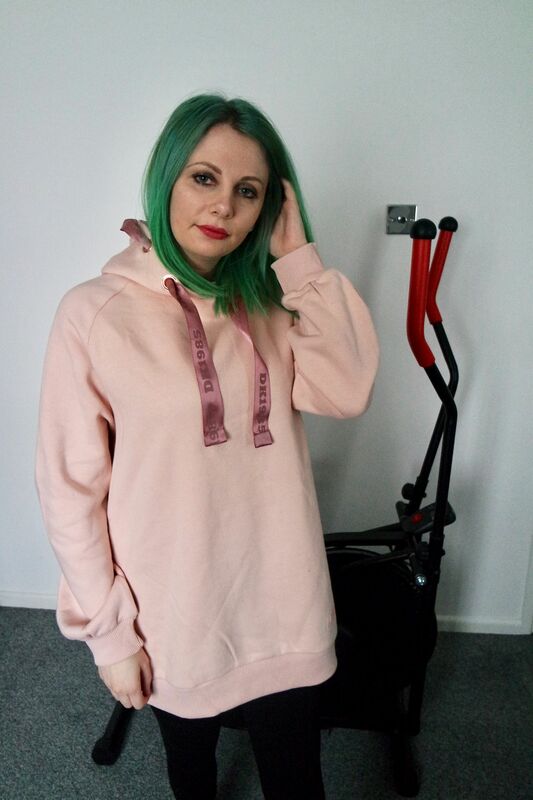 I went for the HKMX hooded sweater doutzen in pink which was £37. 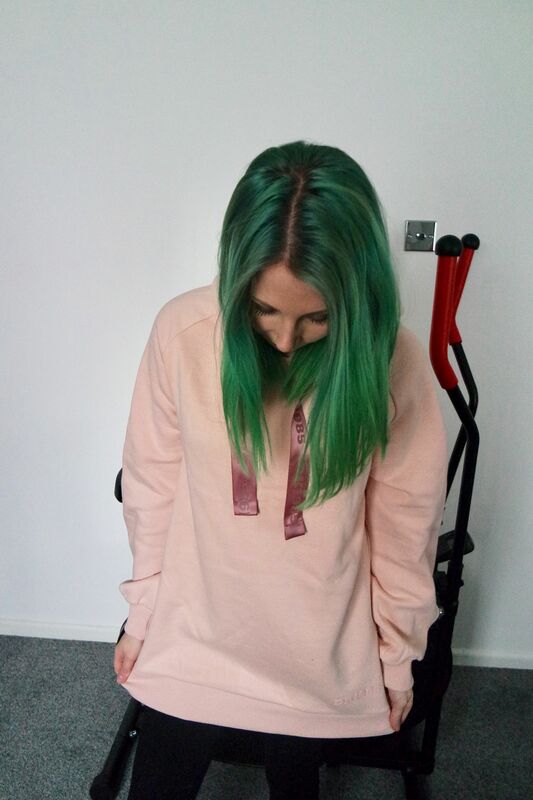 I went for a medium as I wanted it baggy and I am so impressed with it. I love love love the ribbon detail on the hood. 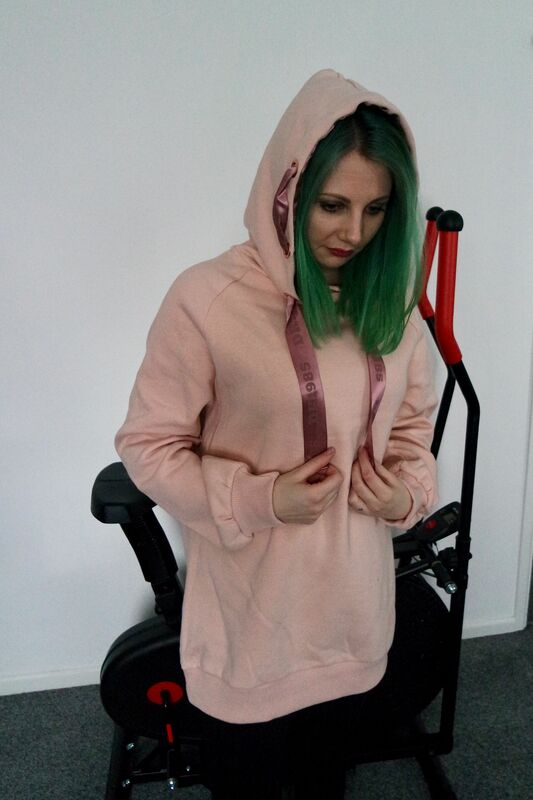 The whole of the inside of the hood is the same colour and material as the ribbon, so it is so soft and luxurious. The inside of the rest of the hoodie is really soft and it is so comfortable. 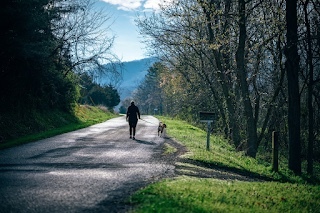 Being so soft, it would be ideal to put on over a sports bra, you wouldn’t need to worry about wearing a t shirt or anything as it feels really nice against your skin. Have you bought anything from this website before? I have reviewed a pair of their PJs before. Since adapting to a vegan diet I am certainly trying so many more foods I would never have tried before. 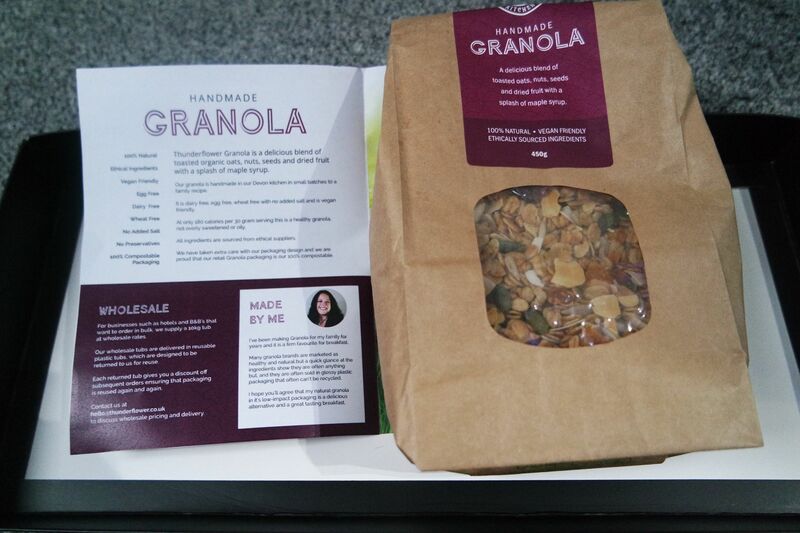 I have become a great fan of Granola and right now my favourite is the handmade one from Thunderflower Kitchen. It is important that we ensure we feed our bodies with the nutrients and vitamins we need. Nuts, seeds and fruit are all great foods and a great way to start your day. I like to mix my granola with a dairy free yogurt, but you could have it with milk or even have it dry if you prefer to snack on it throughout the day. The granola contains toasted oats, nuts, seeds, dried fruit and maple syrup. I love maple syrup! It is 100% natural and vegan friendly and only 180 calories per serving. I find having a bowl of this in the morning helps to fill me up until my mid morning snack. It tastes so good and really makes you happy knowing all the goodness you are fueling your body with. I have tried other granola before but not really been sold on it, but this one tastes really great compared. I like to alternate between this and porridge for my breakfasts at the moment. Thinking of warming up some almond milk and trying that with my granola in the morning. What is your go to breakfast right now? Here she goes again, banging on about vegan snacks haha. I actually think I am on some sort of quest to try every new vegan snack I come across! 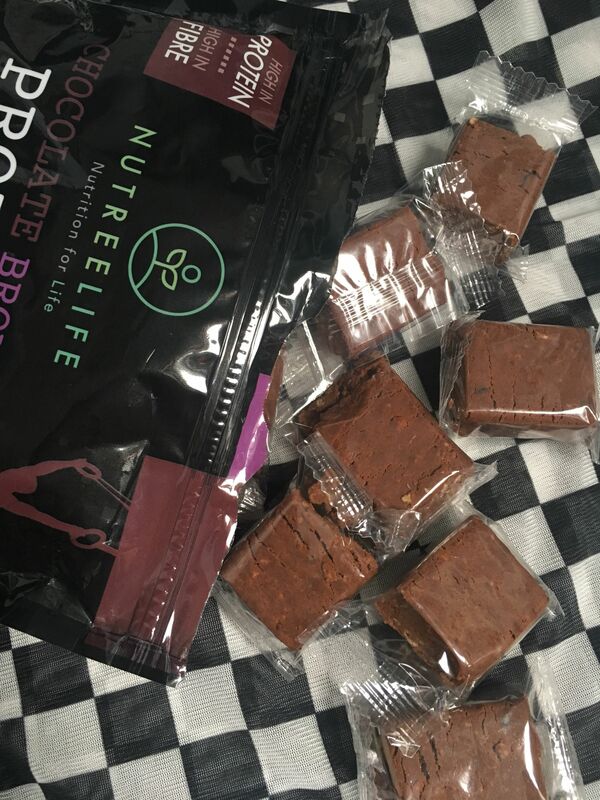 www.nutreelife.co.uk sell a great range of protein bars, snacks and powders depending on your preference. It is a worry when eating a vegan diet that you are not consuming enough protein that you used to get from meat but in fact if you eat a balanced diet you can easily get the correct amount but there are a lot of protein based products to help you, especially if you work out. I have used powders before but something that caught my eye was the snack bites. Sometimes i don’t always want a whole protein bar but I want something small to have. 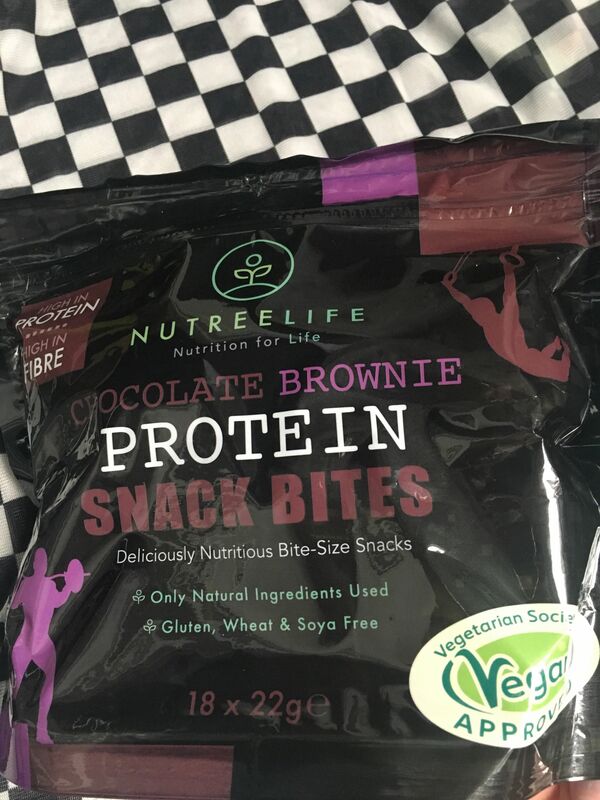 I got the Chocolate brownie protein snack bites. they do a lot of other flavours too. Do any of you have protein based snacks?